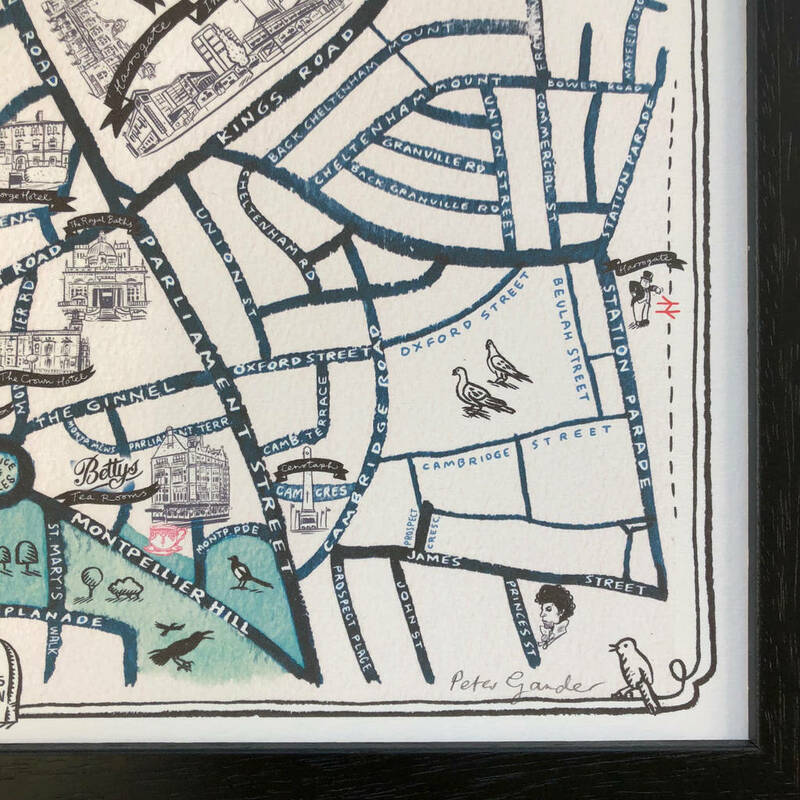 Map of Harrogate signed print. 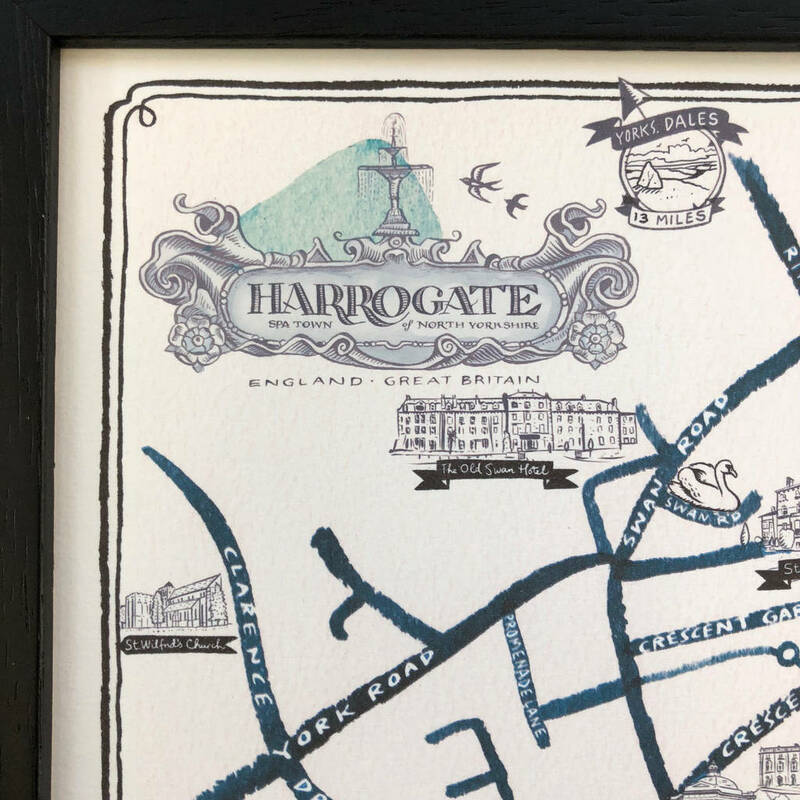 This beautiful hand-drawn map makes the perfect gift for someone who loves Harrogate. 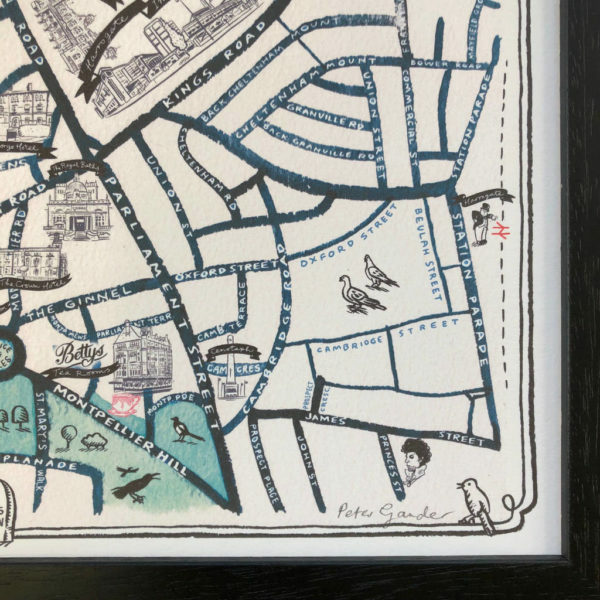 Map of Harrogate signed print. This map is beautiful piece of wall art for the home. 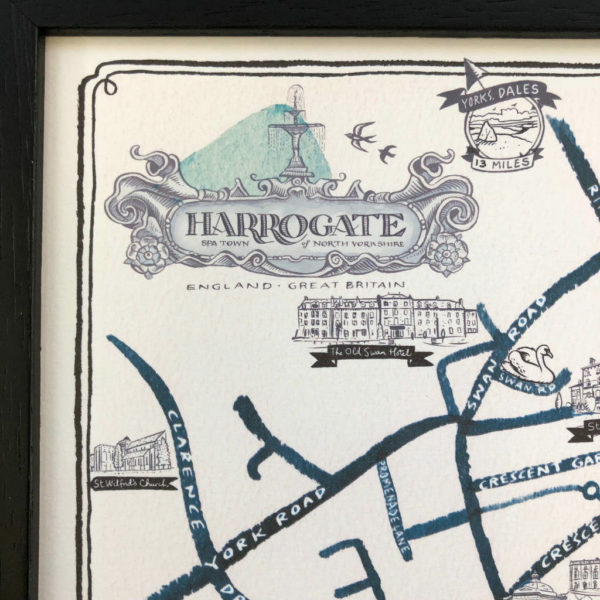 Perfect for someone who loves Harrogate. 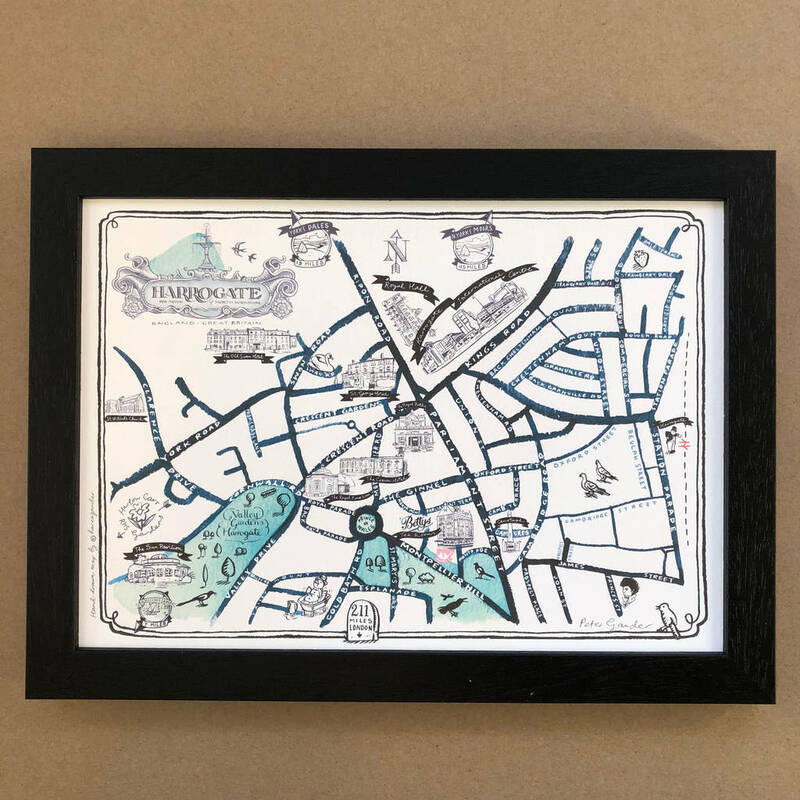 Map of Harrogate signed print. A4 is available framed or unframed.Black, white or oak frames to choose from.